Linde Material Handling combines technological know-how with a high level of commitment. Our employees realise their ideas for tailor-made customer solutions, make full use of their skills, share the existing synergies of the KION Group, and in doing so shape the future of intralogistics. Whether your background is in engineering, business administration, skilled trades or administration, at Linde you can find a variety of job profiles and exciting occupational fields. What role would you like to take on with us? 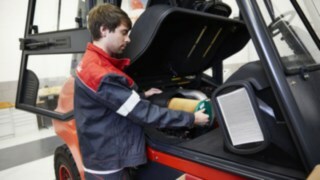 You will also come on board with a leading worldwide manufacturer of forklift trucks, warehouse handling equipment, and system solutions, learn all about digitalisation through practice, and experience Industry 4.0 first hand: As a team player, you will work with more than 10,000 colleagues on intralogistics service providers and solutions, thereby helping to make our customers even more successful. Whether you are doing an internship or writing a thesis: Your ideas are always in demand at Linde Material Handling. Apply now. Finished school? 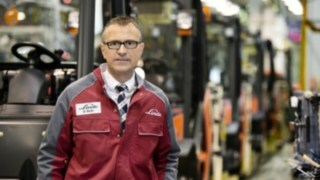 Begin your career with an apprenticeship at Linde Material Handling. Planning the next step in your career? 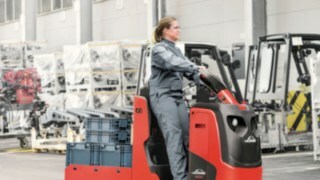 Join Linde Material Handling directly and help get intralogistics moving. You can never plan for everything in a secondment or transfer; there are always unforeseen things that crop up which you have to adjust to. Flexibility is always a key factor. 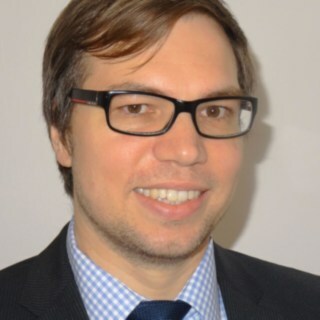 Marcel Ludwig went to Basingstoke for five years, initially working in the Financial Planning & Reporting division, and later in Analysis. 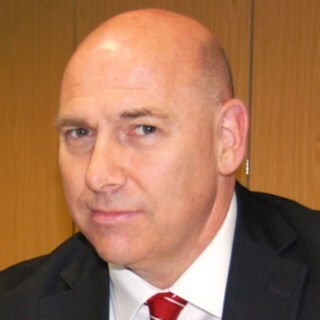 His secondment turned into a transfer: He decided to stay with Linde UK. Anyone who has been a part of Linde is assured long-term career prospects with a wide range of career opportunities. We support your personal career ambitions. As a market leader Linde UK is keen to continue to attract highly talented salespeople from both inside and outside the materials handling industry. This is why Linde MH UK Ltd runs an unparalleled fully comprehensive national induction and development programme across all of our 8 strategically located National Networks companies in the UK. Upon joining LMH UK a new salesperson will undergo an induction programme tailored to their development needs, this will ensure they have a rewarding and successful career at Linde Material Handling UK. 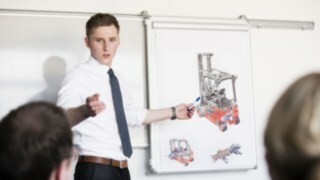 As full product training will be given no previous knowledge of Linde’s market leading products range is needed. We also welcome salespeople without materials handling experience, and have developed a bespoke application training course for those starting out in the MHE industry. All training is backed up with industry leading sales tools including digital reference media, portable product fact and demo guides, and sales argumentation. Training and support does not stop at the end of the induction programme, once completed a one to one review will then be carried out, and a personalised training plan put together which will focus on any areas identified for further development. Training and support nationally and locally will then continue to ensure each salesperson is equipped with the necessary support, knowledge and tools to maximise their full potential throughout their career at Linde. To help our customers to continue to perform at their best, we offer not only the products most suitable for you, but also a comprehensive service package – from servicing and repairs to truck leasing, as well as offering training courses for operators. 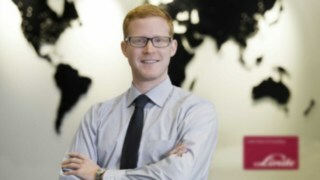 The Service division is responsible for planning, managing and realising these offers. The Marketing and communication division is the mouthpiece of the company. Their sphere of responsibility encompasses not only press releases, websites, and media events, but also communication within the company. Together with Service and Sales, this division plans marketing initiatives in order to convey our enthusiasm for the company and its products to the outside world. Our success is founded on employees who fit Linde both professionally and personally. However, the duties of the HR division go much further than just recruitment and are quite varied: In their day-to-day work, our HR colleagues provide both the management and employees with personnel, development, and controlling support. The wellbeing of our employees & customers is a key priority and responsibility at all levels of the organisation. By proactively engaging with all our stakeholders, we strive to make the concept of zero harm a reality. The HSE department ensures the required working, health and environmental conditions are adhered which allows Linde to guarantee sustainable logistics, efficient and safe products and solutions, as well as an employee-friendly working environment. HSE tasks include the proactive preparation and dissemination of legal information and occupational health and safety guidelines, training, leadership and employee engagement. The HSE department is also responsible for sustainability management. To realise these objectives, the QHSE elements of the business are externally accredited to recognised leading international standards. As a strategically important division at Linde MH and it covers the procurement of the systems, components, and materials needed for the Sales and Service organisation to support our material handling equipment. In addition, this division sources all capital assets, materials, and services that are required for the company to operate. Facility Management is responsible for the condition of our existing and new buildings, as well as our building technology. Colleagues here devise and review strategies and processes for maintenance, continually developing and refining them further. Responsibility is a top priority here: Sites and buildings must comply with relevant work safety guidelines. Facility Management therefore develops preventative measures and ensures that they are implemented on a long-term basis. The Finance & Controlling function is responsible for developing budgets and forecasts as well as reporting on company performance. However, at the same time the Finance team strive to provide increased added value to the business. This is achieved through the team acting as business partners with all other functions in order to drive improvements in performance and control. The areas of focus include profitability enhancement, cost effectiveness, working capital management and overall cash generation. Having a good commercial understanding and working closely with the management team throughout the business is key to the Finance team’s success. Logistics ensures that all materials get to the right place, at the right time, and in the right quantities. In order that plants can be consistently outfitted with equipment and customer deadlines can be met, the Logistics division works closely with and across the Sales, Procurement, and Production divisions, putting together precise production programmes that are updated daily. Regardless of whether they are booking flights or coordinating meetings, employees in this division make sure that all working processes function smoothly, and are therefore the backbone of the company. This ensures a steady eye is kept on productivity and efficiency. Found an interesting vacancy on our job board, or want to send us an open application? 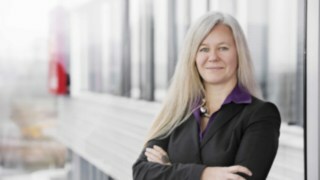 We are pleased that you would like to be part of the Linde team. To find out how to apply, please look up information on the application process for the country in which you would like to work. Specific requirements can be found in the appropriate listing. If you don’t find any vacancy that interests you currently listed, you are welcome to submit an open application. We are always looking for new employees who want to help us drive the company forward. Regardless of which division or position you are interested in – please send your documents with a clear introduction to the contact person for the country in which you would like to work. We will look over your application as quickly as possible and contact you. We welcome initiative! Networking isn't just about our trucks and solutions. Networking also plays an essential role among our employees worldwide since, as a global company, we work across borders and functional units and exchange knowledge across national boundaries. For example, specialist functions are temporarily filled by experienced employees until a local successor can be found and trained. We offer a variety of operational models, such as postings of at least one year to a foreign Linde corporation, business trips of up to three months, prolonged business trips of up to six months at most, or a long-term change of working location. Transnational virtual teams, working on projects together with the help of modern communication technology, are also a part of Linde Mobility. If you don’t find any vacancy that interests you currently listed, you are welcome to submit an open application. We are always looking for new employees who want to help us drive the company forward. Regardless of which division or position you are interested in – please send your documents with a clear introduction. We will look over your application as quickly as possible and contact you. We welcome initiative! As a global player in the premium segment, Linde can also offer non-engineers challenging roles and extensive development opportunities. I never had the feeling that something wasn't going to succeed. With Linde and the local dealer in the background, I simply knew that I would have support at all times. 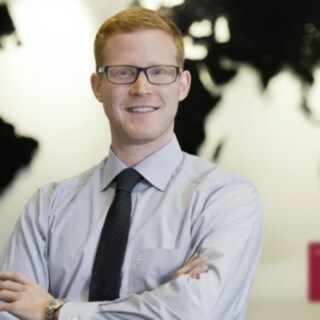 His career path befits his temperament: As Head of Sales Steering in the LMH Middle East Sales Support division, Mark Reilly went to Saudi Arabia for nearly two years – and then to Dubai. Please get in touch using the form below. If you require more information about a particular position, please direct your query to the contact given in the relevant listing. We will get back to you as soon as we can.